Bharatiya Shikshan Mandal (BSM) held 3 Day international Orientation program on the Gurukul Education Methodology, a first of its kind from 15th to 17th February 2019 in Gandhinagar, Gujarat, as part of its Gurukul project. The past couple of years have seen considerable analysis and debate on the current system of education in India. Popularly known as “Macaulay’s Minute Model”, the approach and pedagogy of today’s schooling in India is mainly designed to train Industrial labors. Industrialization and its requirements are well understood. But “Saa Vidya, yaa Vimuktaye” i.e. True Education is one that Liberates (the Mind), which was the eternal purpose Indian Education, has now given way to “Ya Vidya Sa Niyuktaye” i.e. True Education is one that Employs and Enslaves (the Mind)! 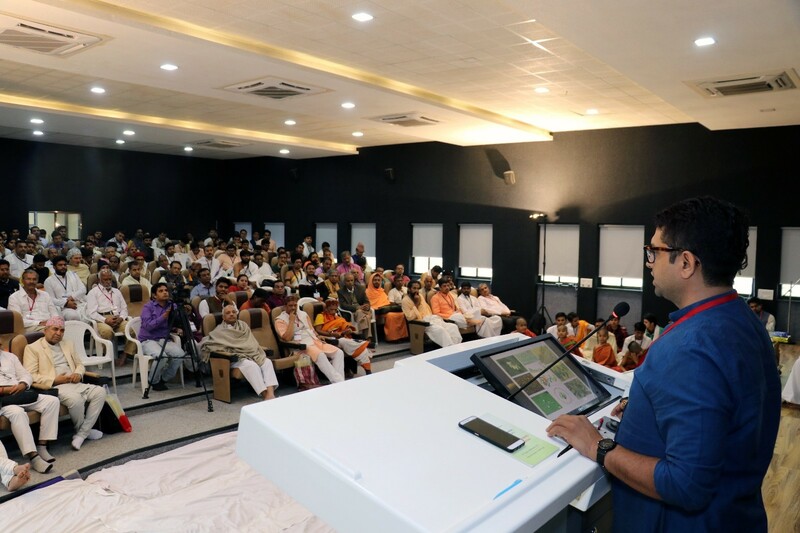 Bearing in mind the context and consequences of the continuance of such an education system created by, for and of a colonial empire, the Bharatiya Shikshan Mandal (BSM) held 3 Day international Orientation program on the Gurukul Education Methodology, a first of its kind from 15th to 17th February 2019 in Gandhinagar, Gujarat, as part of its Gurukul project. The project (Gurukul Prakalp) aims at bringing the Gurukul system into the mainstream. Indian Institute of Teacher Education (IITE) hosted this unique event. 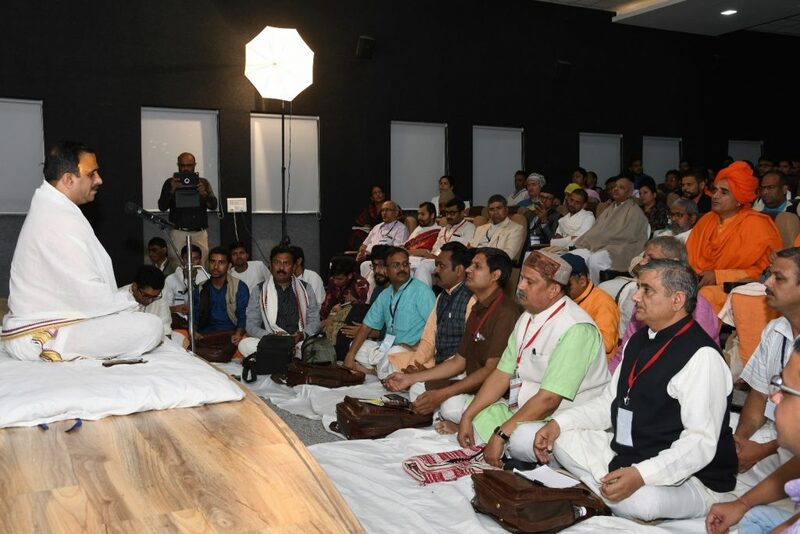 Three days of intense discussions, consultations and brainstorming sessions were held with around 200 Participants including traditional scholars, gurukul teachers, administrators, acharyas and Gurukul Prakalp’s volunteers from eight countries to create a roadmap to re-establish Gurukul way of education as the mainstream education in society. The Orientation Program began with the inaugural address by Shri Umashankar Pachauriji, Joint Secretary of BSM, who introduced the concept, significance, and necessity of Gurukul system of education for today’s times. This was followed by insightful sessions on the types and models of Gurukulams, including the Vyasa Model of Gurukul and Dronacharya Model. Later, various group discussions were organized. Six Groups were formed to make these discussions more focused and specific. Those groups were called Vedic scholars Group, Shastra teachers Group, Kala/arts Group, Technology Group, Administrators Group, and International Delegates Group. Each session had a specific topic to discuss and arrive at a conclusion. Summarized Outcome of each discussion session got documented and presented in front of all participants at the end. The first day ended with a presentation by Acharya Gyandendra Sapkotaji on how to establish Gurukulams Based on Shilpa Sastra, which provides knowledge about more than 150 skills and professions including Engineering and town planning. The second day of the conference opened with a session on the “Condition of Higher Education in India and How to improve it” in which Sri. Shashiranjan Yadav, Vice Chancellor of IITE, Gandhinagar Presented his views. Then, the renowned educationist and scholar Dr. Rajesh Rathod’s book in Marathi titled “Shikshan Na Mulbhoot Adharo” was released. What kind of syllabus or curriculum should Primary Gurukulam have? How is teaching in Gurukulams related to the Shastras and the scriptures are different? What is the future of Gurukul education and what is the role of a volunteer in it? How many types of Gurukulams are required to fulfill the educational necessities of mainstream society? What kind of Gurukulams are required in today’s time? The second day ended with a Musical performance by students from Sabarmati Gurukul. The third day saw speakers and presentations from acharyas and scholars from around the world including Bhutan, Nepal etc. Following this, both challenges and solutions to overcome them were suggested and discussed. The need and potential of starting newer integrated gurukuls were proposed and the role that technology and collaborations with other similar institutions, pathshalas, vishwavidyalayas etc. were also mulled upon. Dr. Gyanendra Sapkota in his second presentation made a comparison between Gurukulams and School’s method of teaching. With real life examples, he busted many myths about Gurukul education, such as there’s too much memorization in Gurukul way learning, they are not suitable for modern word etc. Sri Yogananda, Sanskrit Scholar from Poland explained how sophisticated Gurukul Pedagogy is and what the condition of education in Poland is. 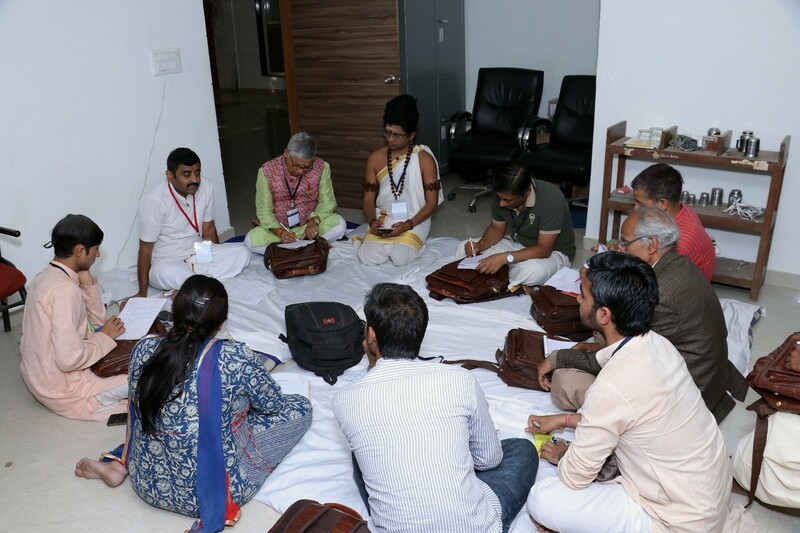 Bharatiya Shikshan Mandal’s volunteers have travelled across the country and created a network of volunteers who are willing to work towards Re-establishing Gurukul Education as mainstream education. A national Level Working Committee formation took place in this Event. Apart from this, 12 Member National Executive committee of BSM’s Gurukul Prakalp and 40 Regional committees to work at the regional level were also formed. Several Individuals and organizations, who are interested in starting new Gurukulams will be getting guidance and support from these regional committees. 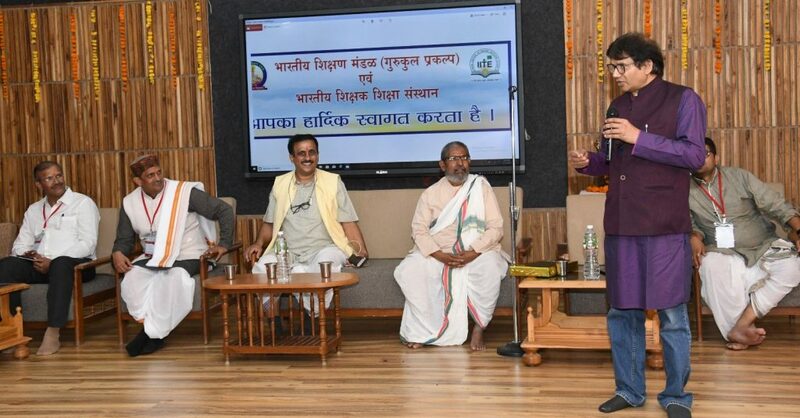 The Orientation program concluded with Shri Mukul Kanitkar’s motivational words to the participants about contributing in whatever way possible to a sustainable vision for rethinking and reinventing the system of education across India based on the Gurukul methodology and the urgent need to make it a nation-wide movement. Bharatiya Shikshan Mandal(BSM) is a movement established in 1969 with the objective of accomplishing national resurgence in the field of education. BSM envisages to accomplish its objectives through a five dimensional framework which includes Anusandhan (Research), Prabodhan (Awareness), Prashikshan (Orientation), Prakashan (Publication) and Sangathan (Networking). BSM is working towards re-establish establishing the Bharatiya education system. After receiving a tremendously positive response from International Virat Gurukul Sammelan (28-30 April, 2018) at Sandipani campus Ujjain, organised in association with Maharshi Sandipani Rashtriya Veda Vidya Pratishthan, there has been an overwhelming demand for establishing new Gurukulas as well as conducting foundation programs to mold Acharyas for the next generation.